This vacancy will close for applications at midnight on 15 December 2016. The University of Manchester is the largest single-site university in the UK. It has more than twenty academic schools and hundreds of specialist research groups undertaking pioneering multidisciplinary teaching and research of world-wide significance. 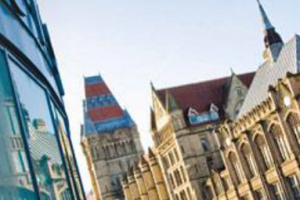 The University of Manchester strives to make our community a welcoming, caring and enthusiastic one, fuelling ambition with opportunities and support to help us all achieve our personal and professional goals. Our diverse job opportunities include an attractive benefits package with family-friendly policies that provide for flexible working. We care deeply about career and personal development, offering a structured induction programme for new staff, an annual performance and development review, staff training for all career stages and mentoring opportunities to support your career development. We have a genuine commitment to equality of opportunity for our staff and students, and are proud to employ a workforce that reflects the diverse community we serve. As a global institution, situated at the heart of a lively, culturally diverse city, we welcome applicants of all nationalities. To help international job applicants plan for life in the UK, we have put together some useful information on passports and visas, travel to the UK, accommodation and a number of other practical considerations. Genealogies of Knowledge: The Evolution and Contestation of Concepts across Time and Space is an AHRC-funded project investigating the historical evolution and transformation through translation of key concepts in political and scientific thought, that can often be traced back to the ancient Greek world. Starting with ancient Greece through to the twenty-first century, the project will focus on translation flows involving Arabic, Latin and English – the three highly influential lingua francas that facilitated and mediated the processes of conceptual transformation and dissemination in the historical periods and cultural spaces selected for the study. In addition, the research team will examine how established meanings and interpretations of such concepts are currently being contested and renegotiated by civil society actors involved in networked, counter-hegemonic globalisation movements. For both strands of analysis, the study involves building large, diverse electronic corpora of target language texts in Arabic, Latin and English, as well as their Greek source texts; and developing a range of open-source tools for corpus analysis and visualisation that harness the power of the computer to process, compare and visualise patterns in these very large textual repositories. You will be part of a team comprising the principal investigator, Professor Mona Baker, two coinvestigators, Professor Luis Pérez-González and Professor Peter Pormann, a Senior Research Associate, Dr. Saturnino Luz, a Research Associate, Dr. Kamran Karimullah, a Ph.D. candidate, Mr. Jan Buts, and a full-time Project Support Officer, Dr. Ralph Brown. You will be supervised by Professor Mona Baker. The post will be based in the main University campus (Samuel Alexander Building). There will also be an opportunity to input into other grant proposals. Excellent or native-speaker command of English. Hold or about to complete a Ph.D. in Translation or a related subject. Very good command of a foreign language, preferably French or German. Excellent technical skills, including the ability to harvest data from the web. Ability to prioritise and manage own workload and work to deadlines. Ability to self-motivate and work independently. Ability to work collaboratively as part of a team. Willingness to undertake further training. Knowledge of the methods and techniques of corpus linguistics and translation studies. Experience in searching, documenting and analysing web-based material. Experience in working with a wide range of software applications, especially those used in documenting metadata for electronic corpora.